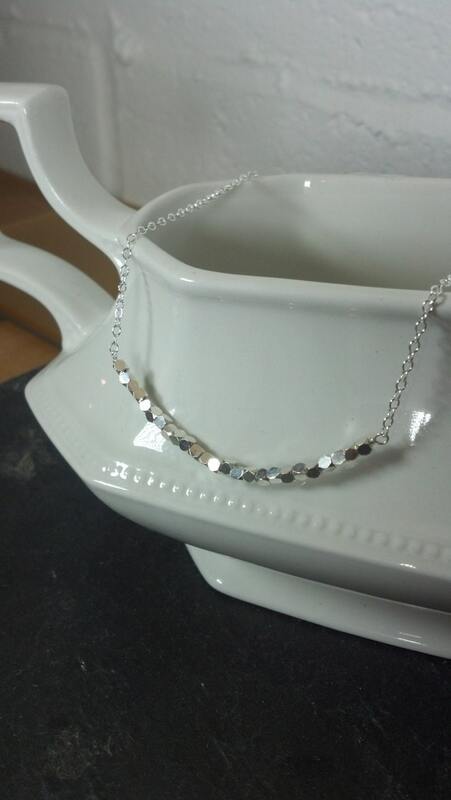 This sparkly little piece is the perfect everyday necklace! 99.9% fine silver cubed beads are faceted just at the corners, allowing them to catch the light and the eye! 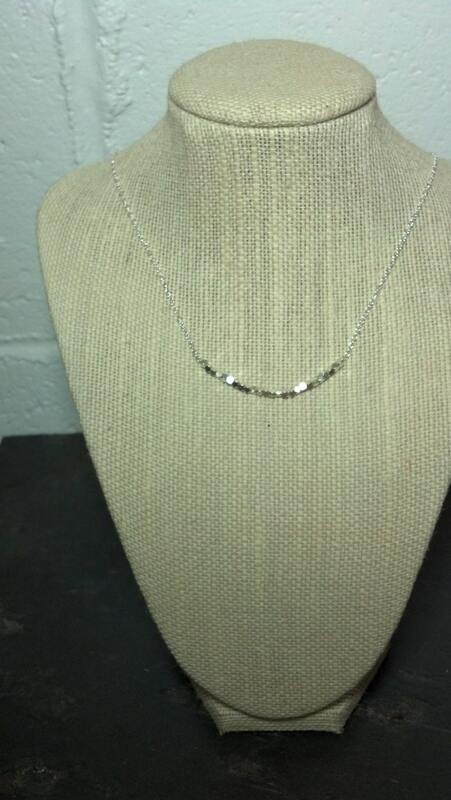 The row of fine silver is further accentuated by the sterling silver chain on either side. 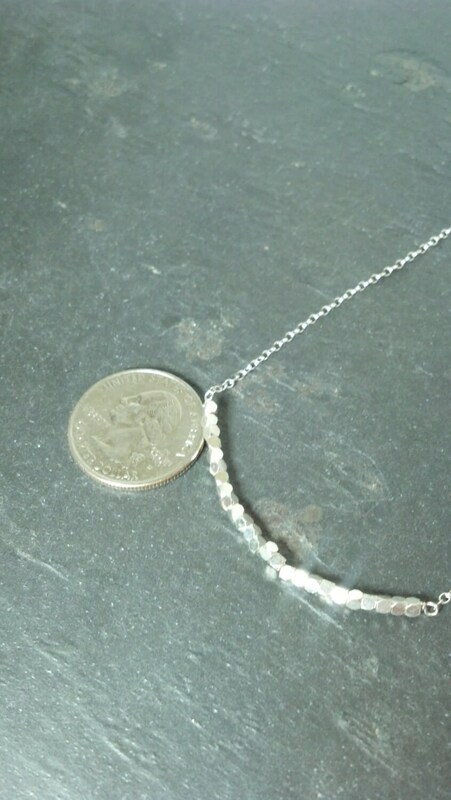 This necklace is perfect for layering with other pieces or dressing up a t-shirt and jeans.